Oliver came to us in a little bit of a roundabout way. 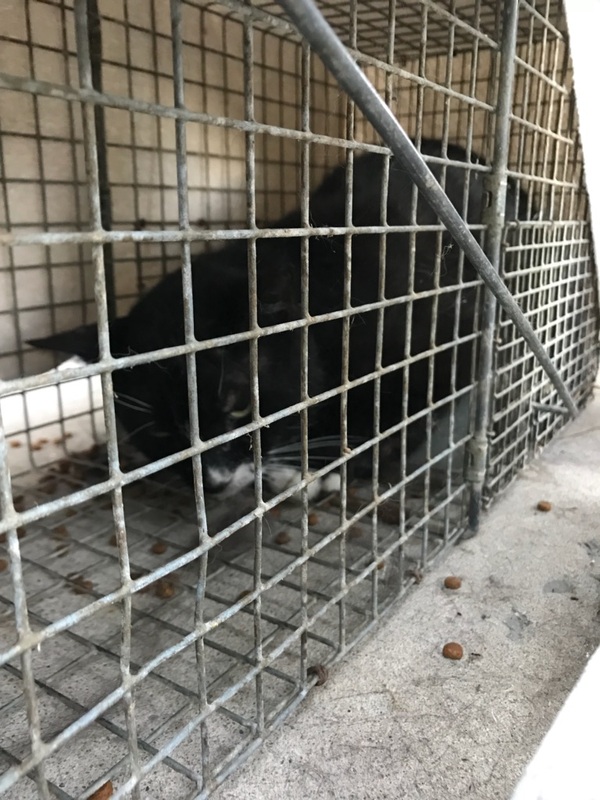 One of our team had the misfortune of having her kitty escape and they had been using a live trap to try and get him home. Imagine their surprise when instead of their beloved kitty they found a strange black and white tom cat. He’s a stray who has been hanging around their property for a while now but when they saw the state he was in they knew he needed some help. He’s super friendly so rather than just being a candidate for TNR (Trap/Neuter/Release) we decided to add him to the adoption program. Dr. Matt and Dr. Kayla worked together to get this guy cleaned up and on his way to healing. 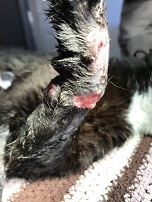 Both his front legs, chest, face and ears all had swollen, infected wounds on them. 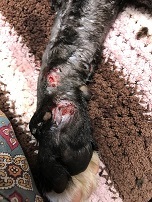 In addition to this we found three ticks, lots of fleas and he has tested positive for Feline Immunodeficiency Virus. Because of the extent of the damage done we think he’s tangled with a raccoon. With Hamilton and area experiencing a Rabies outbreak for the last few years Oliver will be spending a month in “quarantine” to be on the safe side. This means he won’t be available to be seen by the general public for a little bit longer. He’s getting very antsy to start his search for his forever family. He’s a happy outgoing guy who would do well in just about any type of household. He’s very food motivated and loves to chase treats down the hallway. 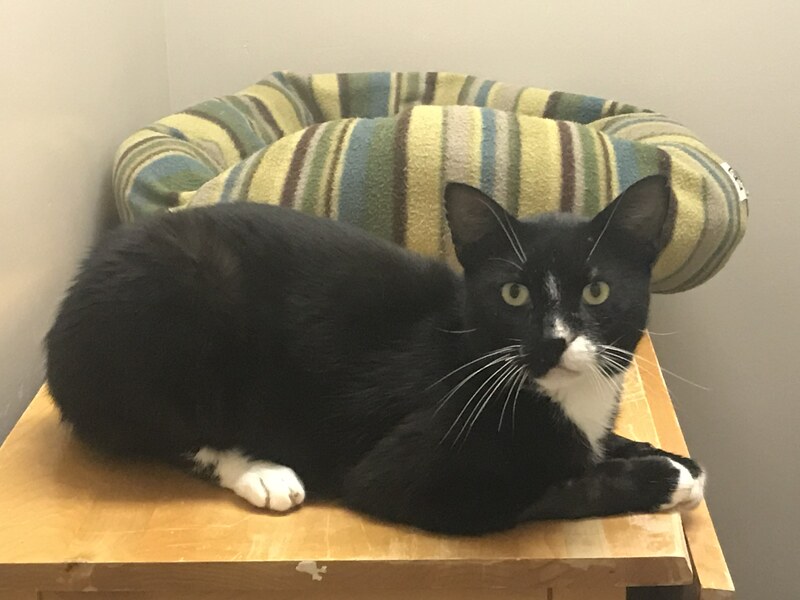 If you’re interested in adopting Oliver or have any questions about FIV please feel free to talk to one of our team members. 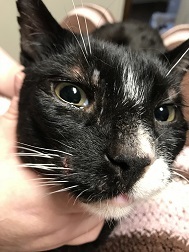 While FIV is a contagious disease, the risk of spred in stable households (where all the cats get along and not generally bite each other deeply enough to draw blood) is extremely low. Several studies have shown that infected cats can live with healthy cats for many years without disease transfer.